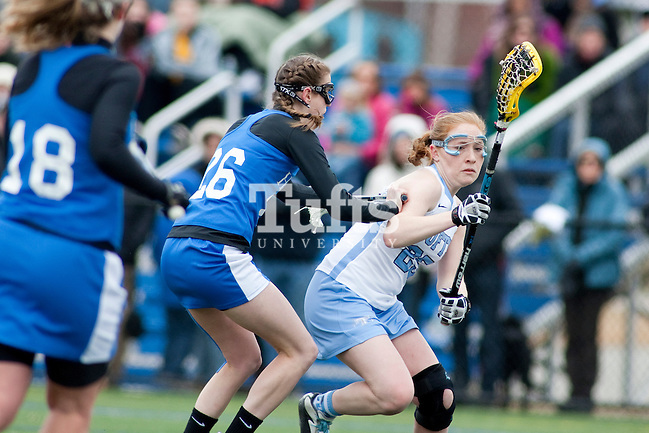 Though it didn’t seem like it Saturday, according to the Tufts athletics calendar, spring is here! 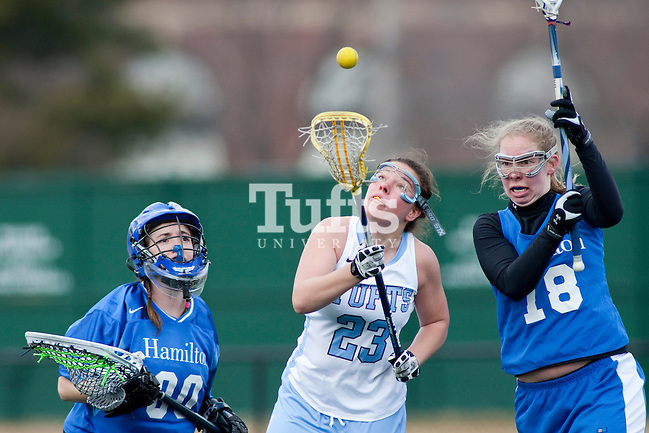 With temps in the 30s and a chilly bite to the wind, the Tufts Jumbos women’s lacrosse team opened their season by hosting Hamilton at Bello Field in Medford. Both teams are nationally ranked, with No. 14 Tufts facing No. 7 Hamilton coming into the contest evenly matched. It played out as one would expect, with both teams battling. 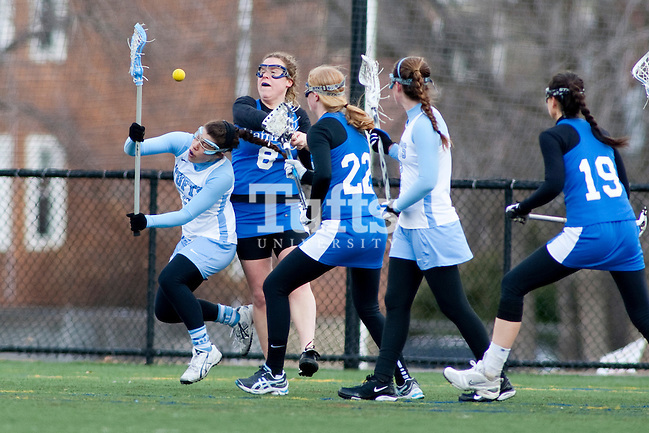 In the end, it came down to Tufts scoring 5 of the last 6 goals to come back from what was at one point a 6-3 deficit, to win 8-7. 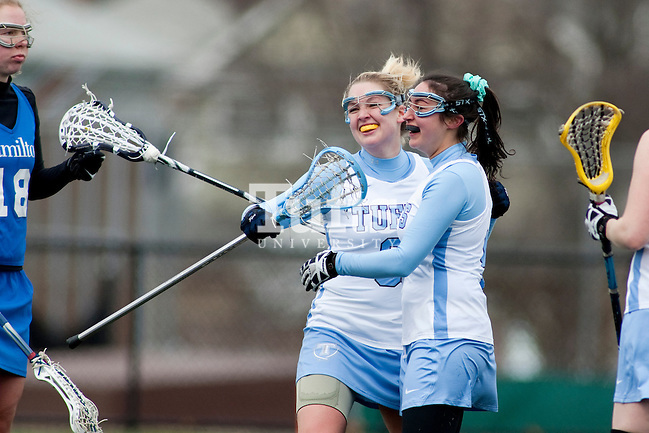 The game-winning goal was scored with 45 seconds left. 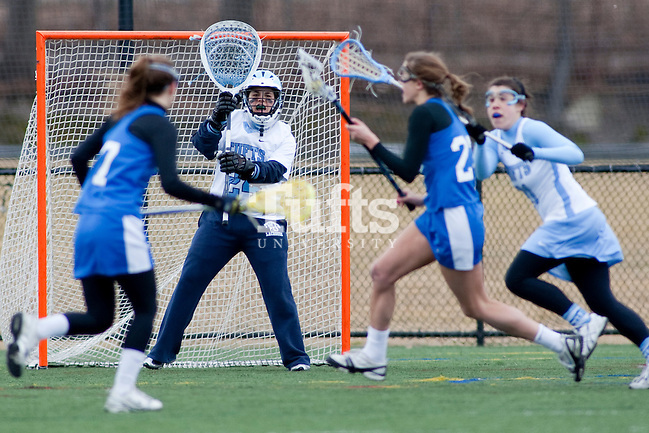 Even though I’m just now beginning to thaw out, it sure felt good to be shooting outdoor sports again. 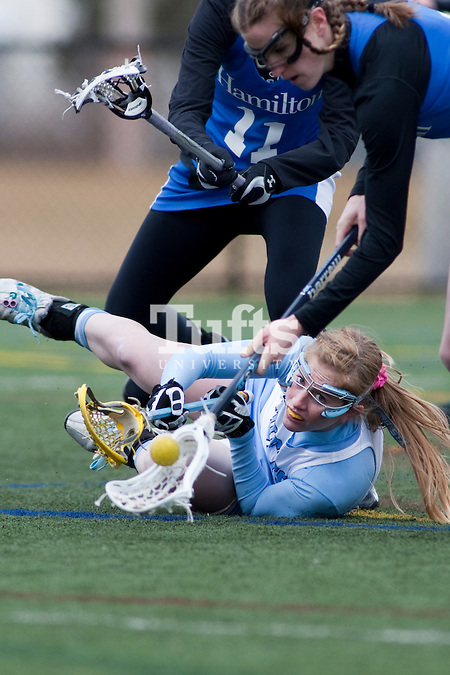 Here’s some pics from the game. As I alluded to in an earlier post, I spent my Marathon Monday working for Tufts University covering the start and the finish for their President’s Marathon Challenge team. Oddly enough, having grown up just 2 miles down the road from the starting line, I had never seen the Boston Marathon live — I was always more of a baseball guy, and I love that 11 a.m. Patriots Day game at Fenway. Tufts president Larry Bacow told me Boston’s is special, and he was right. It was a blast working with Tufts photographers Joanie Tobin and Emily Zilm, and The Man, Marathon Coach Don Megerle. Here are a few images from the thousands I shot from the finish line, edited down for your viewing pleasure. 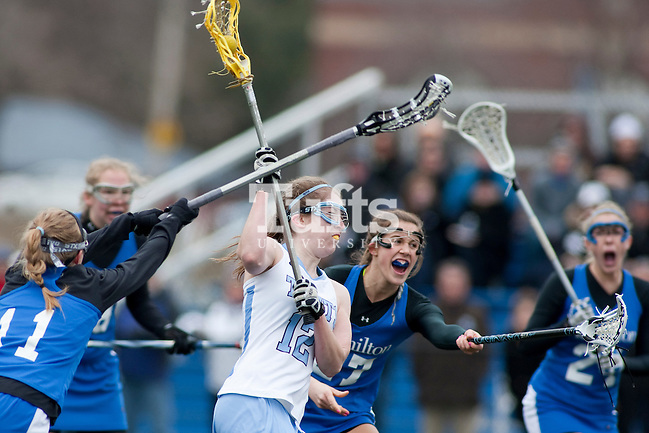 To see a gallery of our take, check out the Tufts website. 4.19.2010 — BOSTON — Tufts University runner Talya Peltzman crosses the finish line at the 114th running of the Boston Marathon on April 19, 2010. 4.19.2010 — BOSTON — The 2010 Tufts University Marathon Team completes the Boston Marathon.